Andy Rader’s “Titans of Industry” series examines the influences of corporate power. 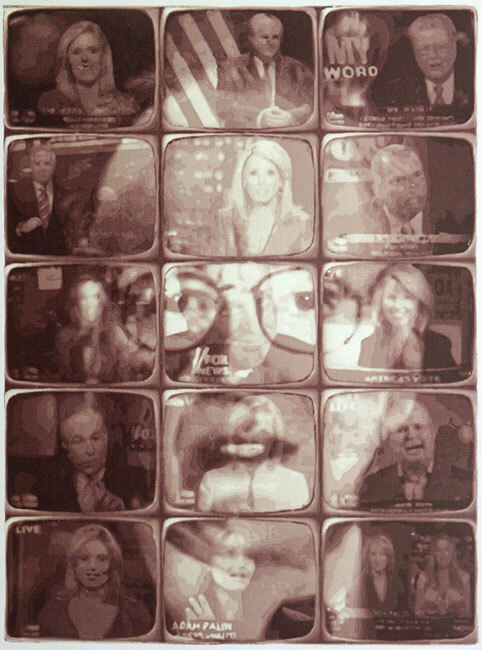 The right hand of media explores the way media influences political opinion. Edition of 8 on Fabriano. Juried Group Exhibition, Prints USA, 2011, Springfield Art Museum, Springfield, MO. Recipient of top cash award. Juried Group Exhibition, West Coast Biennial, Turtle Bay Exploration Park, Redding, CA. Recipient of honorable mention and cash award.